Steve Rintoul: We’ve got some difficult decisions to make in society. We need to decide how we’re going to respond to the challenge of climate change and how we’re going to adapt to both natural climate variability and the climate change that we don’t manage to avoid. And the key to doing that is knowing exactly what’s going to unfold in the future as climate changes and as the modes of natural climate variability respond to that climate change. to tackle the most crucial questions for the world ocean climate. Prof Matthew England: The Southern Ocean is poorly sampled. It’s poorly represented in models that we use to predict the climate system and it’s poorly understood because of this lack of observations and models in the region. 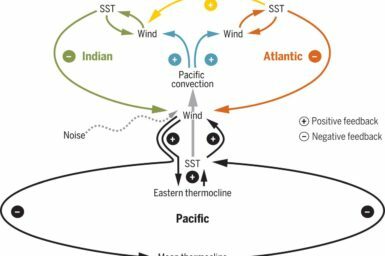 So CSHOR’s filling this very important niche to get at the Southern Ocean climate system, how the oceans are warming and what the implications are for climate change. 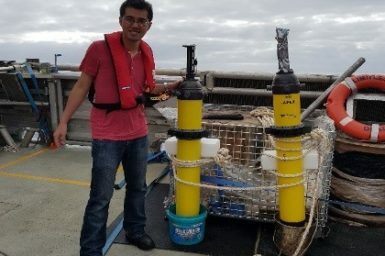 Ming Feng: So, CSHOR project will help us to use a cost effective, robotic technology to mirror the upper ocean and the copying between the upper ocean and the atmosphere which may lead to further development of the robotic technology to apply in other ocean regions. Susan Wijffels: CSHOR is going to interact a lot with big, international campaigns. It’s going to help us understand how to build the new observing system for the ocean and how to evolve that and also some of the projects that we’re building in CSHOR have already entrained a lot of international collaborators. Xuebin Zhang: The CSHOR is a purely scientific uni, science orientated. So, it’s very important. 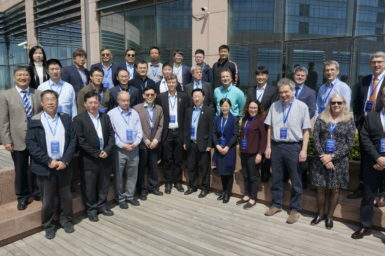 So even to… we got to address some of the cutting edge of scientific questions in the ocean and the climate and the model where it brings expertise from Qing LM and the CSIRO and UNSW the UTas. Steve Rintoul: CSIRO is important because it gives us the means to tackle some of the biggest open questions in the southern hemisphere ocean science. The Centre for Southern Hemisphere Oceans Research (CSHOR) brings together international researchers to further scientific understanding of the southern hemisphere oceans and their role in global and regional climate. It is a collaborative research partnership between the Qingdao National Laboratory for Marine Science and Technology (QNLM) and the Commonwealth Scientific and Industrial Research Organisation (CSIRO). The University of New South Wales and the University of Tasmania are also partners in CSHOR. The Centre was established at CSIRO’s Hobart Marine Laboratories in May 2017. Both Australia and China are strongly influenced by climate variability and change. They have a strong common interest in better understanding how the southern hemisphere oceans influence the climate of our region and the rest of the globe. By tackling the most fundamental questions in southern hemisphere ocean climate research, CSHOR will help to inform an effective response to the challenges of climate change and variability.